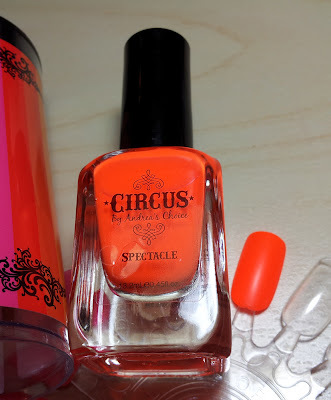 We have a full-sized Circus nail polish (0.45 fl.oz.) in Spectacle, eclos Anti-Aging Regenerative Cream (0.25 fl.oz. ), eclos Anti-Aging Cellular Activator Face Serum (0.5 fl. oz. 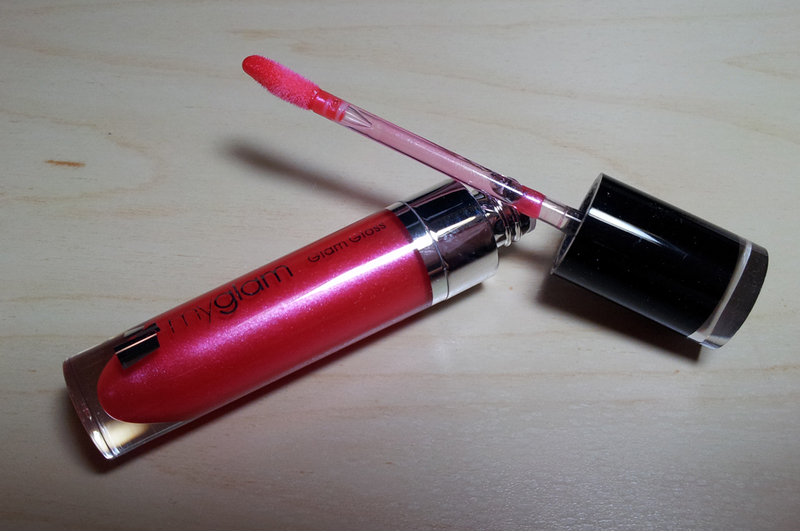 ), a full-sized myglam Glam Gloss in 02 (0.237 fl. oz. ), s.a.l.t.y. 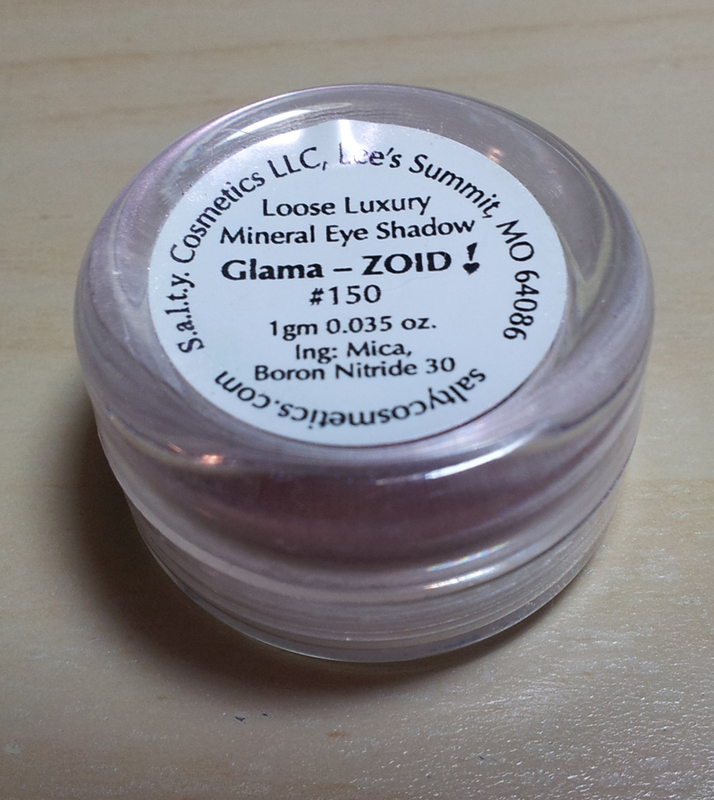 cosmetics Mineral Eye Shadow in Glama-ZOID! $150 (1 gram), and Demeter Roll On Perfume Oil in Dragon Fruit (0.29 fl. oz.). That's a lot of stuff. It smells like watermelon, tastes like lipstick, made in China. Honestly... I don't know if I trust it. When it comes to stuff I'd be ingesting, I prefer brands I know and trust. myglam Glam Gloss? I don't trust. Pretty color though. Next up is the Circus nail polish in Spectacle. 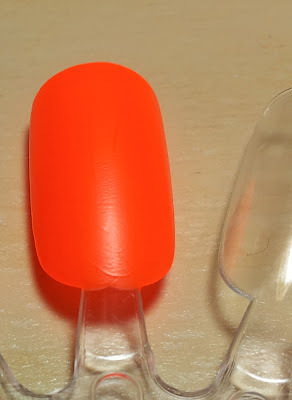 It's a bright neon orange that is opaque in 1 coat! 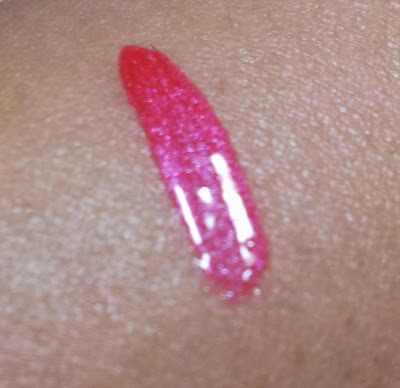 Like other neon polishes it dries slightly matte. Great coverage, but the brush is croaked. Full-sized product and I don't have a neon orange, so no complaints. The Demeter dragon fruit roll-on perfume smells quite nice and refreshing. Smells kinda like lychee to me. It's a pretty decent-sized sample too. 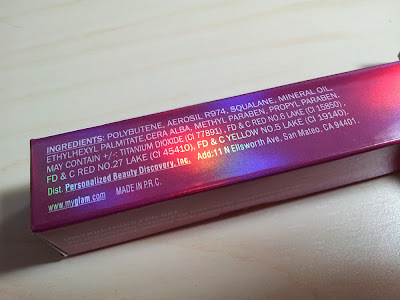 Ingredients are coconut oil, palm oil, jojoba oil, vitamin E, and fragrance. 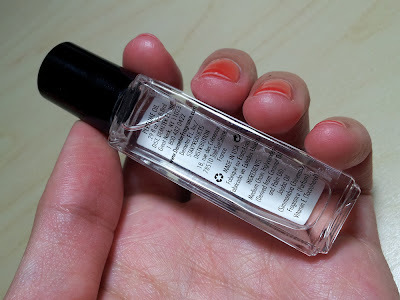 Judging from the ingredients you can probably use it as a cuticle oil. I've never heard of s.a.l.t.y. 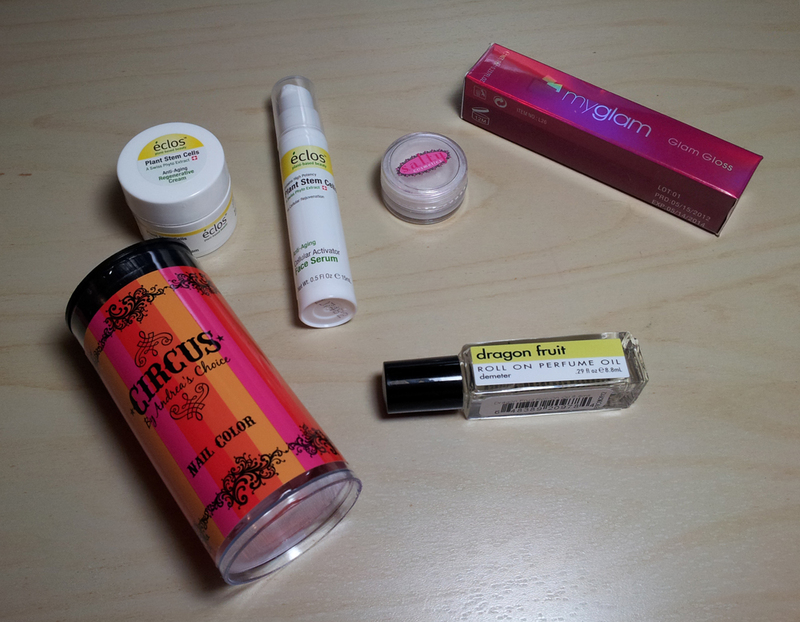 cosmetics before. The mineral eye shadow is very iridescent. From different angles it shimmers blue and pink. Very pretty. 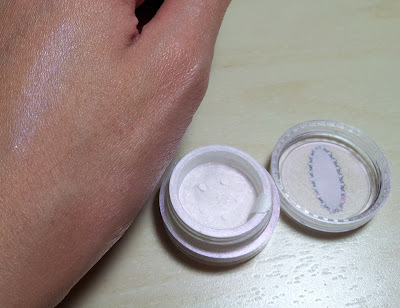 Good for highlighting the brow bone. The eclos anti-aging cream and serum smells like... medicated creams. I don't know how well they work yet, but I'm excited to try. The eclos creams have way too much fragrance in them, and they don't smell pleasant. I actually had to wipe it off because the smell was preventing me from falling asleep! It reminds me a bit of Murad's durian wrinkle reducer in terms of smell, mixed with something else not pleasant like an airplane bathroom. I may end up using these as an intense mask and washing it off in 15 minutes. Overall I'm quite impressed with August's Glam Bag. Well worth the $10. If you haven't signed up yet, do so! I just got mine today & the addition of anti-aging products is...odd? This is geared to such a young crowd...weird right? They don't customize your products based on your beauty profile. I know Birchbox does to some degree. I think MyGlam is working towards that. I guess it's not too late for wrinkle prevention. (: But... gosh... the smell. Oh my goodness. The idea of a facial cream smelling like a durian... yikes lol!